What do you get when you cross a whimsical safari, the heartthrob from The Longest Ride, and one of today's most formidable pop stars? A new Taylor Swift music video, of course! (Duh.) The country-turned-pop crooner will be debuting her video for "Wildest Dreams" at the MTV Video Music Awards Pre-Show on Sunday, Aug. 30, and shared a scintillating teaser on her Instagram account. The clip offers a cinematic confection of galloping horses, zebras, one particularly disconcerted seagull, and — of course — Swift cozying up to a dashing new bae. 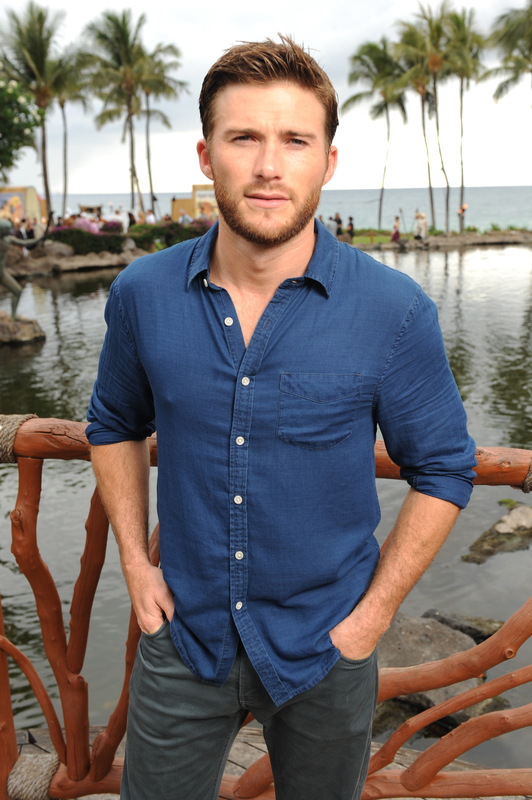 The bae in question is actor Scott Eastwood, the talented son of Hollywood patriarch, Clint Eastwood. While young Eastwood has likely been the subject of many fans' own "wildest dreams," casting the actor as Swift's love interest is absolutely glorious. It doesn't take more than a few seconds to see that these two are going to be steaming up everyone's respective screens with their sizzling chemistry, but there are many other facets that make Eastwood a prime choice for the video. Other than the fact that — to quote Zoolander — Eastwood is "really, really, really, ridiculously good-looking," the star has proven onscreen and off to be a great fit as a music video casanova. Let's break down the reasons Eastwood's appearance in the new Swift video may surpass the level of awesomeness achieved during the singer's "Bad Blood" premiere. On an April episode of Andy Cohen's Watch What Happens Live, Eastwood offhandedly mentioned that an ex-girlfriend cheated on him with Ashton Kutcher — and the infidelity may have been the "catalyst" for Kutcher's split from Demi Moore. What?! I'd like to note how Eastwood treats this admission like it's NBD, and just continues casually sipping on his cocktail. Swift is another celeb who has never shied from being candid, meaning these two are poised to be one dynamic duo. Obviously, it's no surprise that Eastwood would tweet the teaser for a video he's costarring in. That being said, his supportive, "Always be swifting" and "This girl is a damn rock star" comments show he is a total Swiftie. Who better to star in a video with this crooner than a fan? It comes as no surprise that the son of one of Hollywood's most respected patriarchs has some truly inimitable acting skills. I can't wait to see this adonis deliver the goods once "Wildest Dreams" premieres. Seriously, this man could deliver a romantic monologue to a piece of cardboard and I'd still be swooning. With a saucy Ms. Swift as his costar, I'm predicting some major fireworks. Excuse me while I fan myself over the thought. It's no secret that Swift is one of the most charitable celebrities of our time. Eastwood has also shown himself to be a big softie — just look at the above tweet. My heart has officially melted into a puddle of the best feels imaginable. While Swift's squad continues to grow at an impossible — albeit, on fleek — rate, Eastwood's posts with his own squad offers its own version of FOMO. I mean, seriously, look at this guy. Wow...Let's see one more shot of this adonis, shall we? That's some stellar casting right there, if I do say so myself. Is it Sunday, yet?